First, let’s admit that very few of us, including myself, ever truly want to wait for anything. We search desperately for the shortest line at the store, GPS the quickest route to our destination, and watch with noses pressed against the oven for the cupcakes to be ready. Oh, who am I kidding , we drive by the nearest bakery or donut shop and wha-la it’s ready! While our patience for waiting has various limits, there is usually a point to where we cry out, (paraphrasing here), “You have got to be kidding me!” Yet, God has given us so many numerous, and advantageous reasons why we should do just that…wait…and trust upon the Lord. Here are my top 7 that highlighted the week! While my mornings begin in seeking God through prayer, and reflection..there are ample detours and the need to trust God th roughout the day. Not the least of which are in actuality, real roadblocks, that this summer lead me away from the way home through a busy touristy area. This adds an unpredictability to the completion of my errands and, as I was discovering, a heaping tablespoon of frustration. Prompting me to ask myself, what could I be doing instead? TRUST. Be aware that God is there too, in my impatience, in this busy world around me. Now, as I close my eyes I can see the smile given by the young couple in beaconing them across the street, and feel the breeze off the ocean. I can hear the questioning voices of the kids on summer vacation with their parents..and God telling me that this too is a part of the day He has for me. God never fails to teach us these things if we allow ourselves to be open to learning something new, and listening for that faithful voice. So often after leading children’s liturgy, I am reminded how much that they have taught me, with an open heart and a faith that is dependent, loving and trusting. Lord, with this faith of a child let me wait for you knowing that you will always provide. As many of us know, who write about or serve in a ministry capacity, we are asked to be fully reliant on the Holy Spirit for guidance and revelation. Therefore when the invitation came recently to submit for a ministry journal, I took the time needed to pray for direction not just what to say, but whether or not it needed to be said at all. With gratitude Lord, your words, your will, and your heart always. So, w e have truly come to the heart of the matter. Waiting has much to do with Love. Patience is waiting with love, it is accepting that there is a timeline other than our own, and loving the other as God moves in each of our lives. Having said this yesterday was not my best example of modeling patience as we are nearing the end of time left for summer reading and Khan Academy work. At day’s end, I realized that even as my day was rearranged to fit my son’s, that is where I was meant to be. Could I have been more kind about the sacrifice? Absolutely. Especially when I think of all the times that God and others have waited (patiently) on me, I then better recognize what God is asking. Though this is a typical reading for the end of life, personally I feel that it is even more appropriate for the living out of our daily lives. 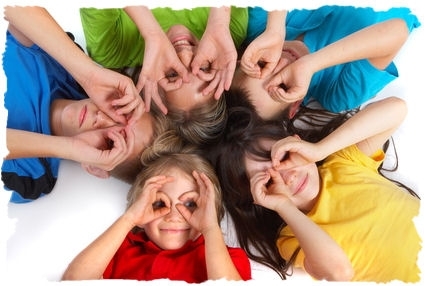 Summer it seems, offering a plethora of sunshine and warm weather, presents ample opportunity for family time, and a chance to reconnect with friends. Not to be outdone, so has this summer proven to be. This past week, ours was sprinkled with a graduation party, our sons’ friends, a get together with several families, my in-laws who winter in Florida and mass. Father, thank you for strengthening us during the “winter” times in our lives, when the world around us lays seemingly bare. Thank you also for this time to renew our souls in the joy and fellowship of friends and family. Lord I am in awe of you! The beautiful story of waiting here, is one that spans a total of six years. 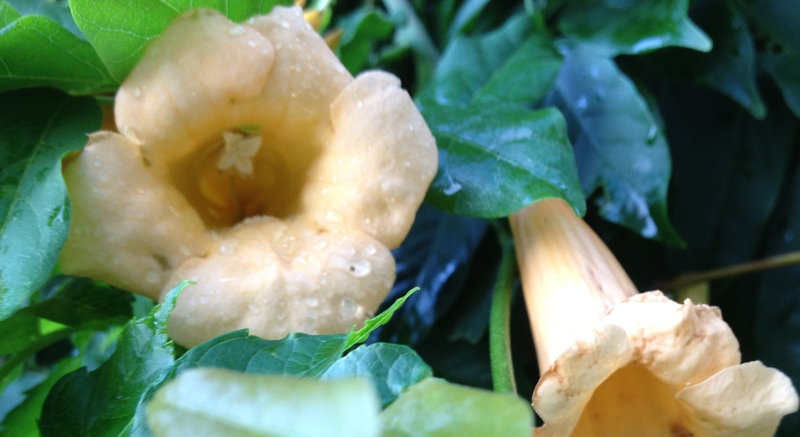 During this time, I waited, and waited for this vine to bloom, only receiving lush greenery filling my arch. So many times I was tempted to give up, and plant something else in this spot. Yet, with pruners in hand, I tended it faithfully..until one morning I walked out to meet my surprise. It had a desire and a purpose to bloom, but in God’s timing. I could not rush it, or wish it to be only God could do that. What amazing creativity and beauty you give us Lord when we trust in your promise. Waiting also allows for preparation and celebration. 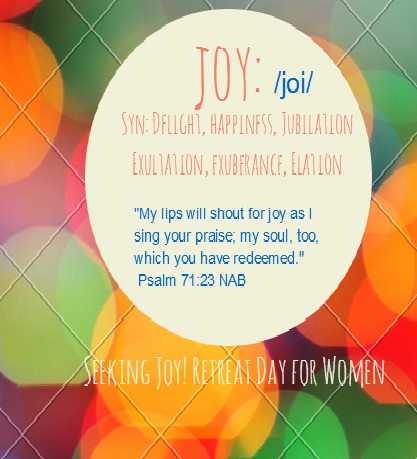 A week from tomorrow, I will be assisting with a women’s Seeking Joy! Retreat to be held at Holy Family Parish in Taunton, MA. It is a day of prayer, reflection, laughter, music and yes…shopping! Whether you are able to make this retreat or one like it, the time spent together with other women of faith, is an invaluable gift of joy. May God lead you this week to ponder and embrace the opportunity to wait upon the Lord! 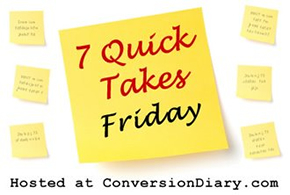 For other stories of Quick Takes, visit Jen at ConversionDiary.Com. 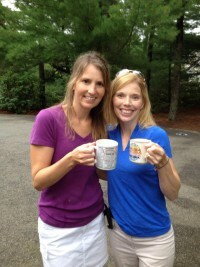 Hi Elizabeth – happy to join the link-up today with my first “Worth Revisiting”. I loved your post – I fight chronic impatience so this really resonated with me. Praying that this Advent will be a season of growth in this virtue for me! Have a blessed Thanksgiving! “Patience is waiting with love.” Oh, beautiful. Thank you for these thoughts. Patience doesn’t come easily to me, and this was a great read today. Happy Thanksgiving to you!